Grayston Drive in Sandton, north of Johannesburg. Photo: Sandton Chronicle. There are huge delays in the area and motorists are urged to avoid if possible. A shooting incident occurred on the M1 highway near Grayston Drive in Sandton, north of Johannesburg this afternoon. Spokesperson for Gauteng Provincial Police, Captain Tsekiso Mofokeng said that at approximately 2.30pm police spotted a suspicious vehicle on the M1 highway, Sandton Chronicle reported. 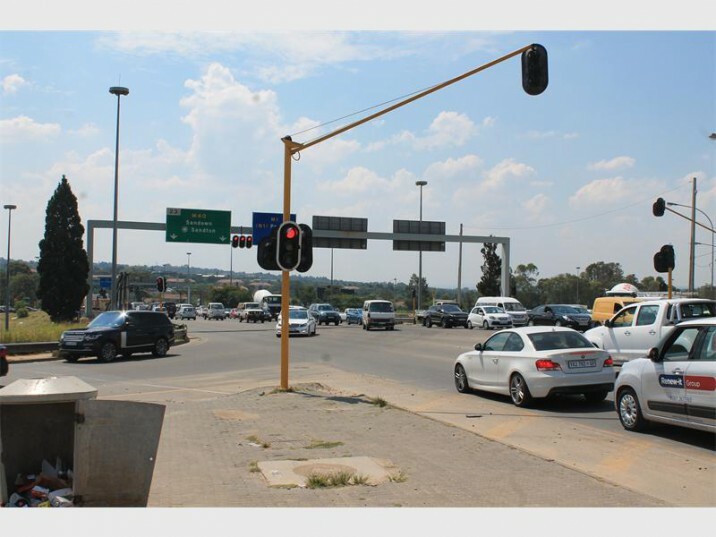 When ordered to stop at the Grayston Drive off-ramp, the three suspects fired at the police. Mofekeng added that the police retaliated and promptly arrested all three suspects. One suspect was injured on his lower body and was transported to a nearby hospital under police guard while the other two suspects are in custody. According to Emer-G-Med, on arrival paramedics found that three suspects had been shot by police officers. Mofokeng said the circumstances which led to the suspects firing at police is still under investigation.